Rollup Kids is a wholesale provider of various categories of toys, games, and gifts item accessories, puzzles and others. Since 2018 Rollup Kids has started distributing toys and Gifts to retailers across the GCC countries like the United Arab Emirates (UAE), Kuwait, Oman and Bahrain with plans of expanding to the Kingdom of Saudi Arabia (KSA) and the rest of the Middle East and North Africa (MENA) region. The aim of Rollup Kids is to become one of the leading toys and gifts distributors/wholesalers in the Middle East by providing a range of quality products and brands from leading toys and gift manufacturers from across the world. Our toys and games brands can be found not only on the shelves of the leading toy stores, bookstores, hypermarkets hobby and novelty shops like Toys R Us, Hamleys, The Toy Store, Early Learning Centre (ELC), Kiddyzone, Party Zone, Borders, Magrudy’s, Carrefour, Lulu and Al Aswaaq but also with a range of online retailers like Souq.com, Mumzworld, Noon and several others. We would like to be known as and considered the preferred toy distributor and wholesaler by the retailers mentioned above. We tend to defend our brands and ensure they sell from the premium locations of the store. So, it is not very often that you would find our brands being sold at slashed or discounted rates. This is achieved by our in-house marketing team that provides various marketing activities and promotions which would attract the target customers and ensure brisk sell through at retail. We rigorously choose the best toys and gifts from around the world to supply our customers with the simplest vary of product obtainable on-line to suit all ages. Your children's toys and academic games facilitate to inspire children’s power and depend upon their skills base, while conjointly having countless fun! Rollup Kids has among its range various categories of toys and games that cater to both girls and boys like Fashion Dolls, Infant Dolls, Accessories, Action Figures, Role Play Toys, Arts & Crafts, STEM toys, Educational Toys, Puzzles, Family and Classic board games, Outdoor, Licensed, Remote Control (RC) cars, Ride Ons, Construction toys, bicycles, skates and Pre School toys among other categories. The above are procured keeping in mind that they would not only appeal to children but also their parents by ensuring that our products conform to the regulations and safety standards as prescribed by the government and other bodies. So, one can see that our products aid not only in developing the sensory, cognitive, creative and motor skills and imagination of the children but also ensure that they provide adequate physical activities to ensure all-round development of the child. which we supply to them. This is the reason we have teams that are available around the clock and are dedicated and capable of providing excellent pre and after sales services. Therefore, one can be rest assured knowing that any unexpected problems that may happen will be swiftly and smoothly taken care of. Not only that, but we will always keep you in the loop regarding any updates about production time, delivery time, or similar details. And if you want to make a particularly big order, no need to worry as we are leading wholesaler of toys and Gifts in the region. Our vast resources and dedicated team are capable of handling your orders no matter how big they get. So what are you waiting for? Browse through our website for more information about our range of products in the gift categories. If you want to contact us for an order, you can do so through phone, email, or by a visit to our headquarters whenever you can. We will always be ready to serve you with placing an order or consulting on what kind of product is best for your requirements. Working with leading toy manufacturers across the globe we bring to you the most creative and loved toys from across brands. You can get these toys at all major Toy Retail shops, Book Stores, Hyper Markets, Hobby Centers and Theme Parks. They will also be available from multiple Online Portals. Our ongoing mission is to help children explore their creativity and intelligence through innovative meaningful methods and practices from across the world and paving the way for highly skilled future adult citizens. 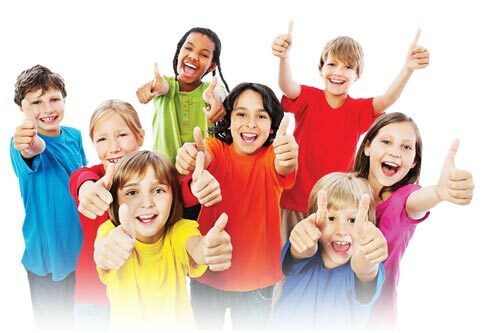 It is our continuous effort to become the most preferred distributor of top quality educational and entertainment products for children in the Middle East, helping them to explore the world beyond. Our animated website is extremely user-friendly helps you choose the exact product or gift you may be looking for by categorizing products by gender, age, brand, and category. Once you can find and identify the product you will find an in-depth description of the product that would answer any questions you may have. Rollup Kids Gift Distributor & Suppliers of following items.